Heat can quickly escape through the soles of your feet in cold weather, so it's important that you can keep warm air in your shoes for longer to best fend off Raynaud's disease. The Therm-IC Insulation Air Insoles utilise three layers of insulation to trap warm air, protecting soles from cold weather and keeping feet warmer for longer to protect against Raynaud's. How Can the Therm-IC Insulation Air Insoles Help Defend Against Raynaud's Disease? 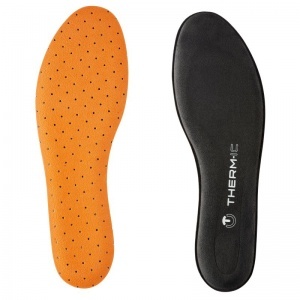 The Therm-IC Insulation Air Insoles work to trap warm air in shoes and prevent it from escaping. This helps you keep your feet warmer for longer, providing a fantastic defence against cold temperatures affecting your feet and triggering an attack of Raynaud's disease. Therm-IC's three-layer insulation concept traps heat in shoes, preventing it from escaping for long-lasting warmth. It utilises memory foam, which works to create an insulating layer of air between your feet and the shoes. This air layer protects feet from cold by preventing warm air from escaping or becoming cold through contact with the ground, keeping them protected from Raynaud's disease. As well as providing an insulating layer of air, the memory foam in the Therm-IC Insulation Air Insoles also helps to improve comfort. Soft and supportive, the layer provides cushioning to feet, helping them feel comfortable in shoes for longer. Alongside their innovative insulating design, the Insulation Air insoles are also incredibly stable in shoes. A rubber sole on each insole prevents them from moving around in shoes, keeping them comfortable and steady during both normal movement and vigorous activity.